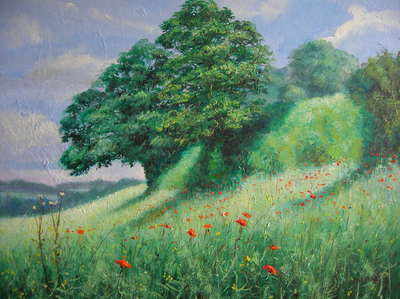 ORIGINAL OIL PAINTING "Poppy Oak". HIGH PRESTIGE WORK BY THE FABULOUS ARTIST DAVID ALDUS. (Highest price received for one of his paintings is £10,000. Absolute investment opportunity !) A sensational depiction of Buckinghamshire's romantic landscape.